A common condition we see at SSOR is a dislocated patella, more commonly known as the “kneecap.” This can be a very painful and debilitating condition, making even otherwise benign activities like walking and bending the knee a struggle. A recent article in Sports Medicine and Arthroscopy Review showed that management of this condition should be conservative initially, but surgery is indicated in only specific cases. The patella sits in a groove on the femur known as the trochlea. The quadriceps muscles attach to the superior aspect of the patella and attach at the tibial tuberosity via one common attachment, the patellar tendon. The patella fits in the groove much like a lock and key. The caveat with this injury is that if the groove is shallow, known as “trochlear dysplasia,” the patella can slip out rather easily compared to people that don’t have the condition. Anatomy of the patellofemoral joint. 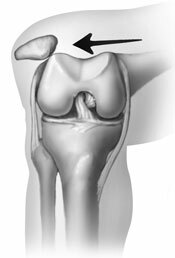 What causes a patellar dislocation? Typically, an awkward fall/slip is the mechanism that causes a patellar dislocation. The quadriceps often contract violently as a protective mechanism which effectively pulls the patella out of the trochlea. After a patellar dislocation, it’s a good idea to see a physician and get an X-ray to see if there is a fracture or other damage that occurred as a result. In some cases, an MRI is warranted but that will be determined by your physician. Rehabilitation after patellar dislocations is a complex undertaking. First of all, we have to get any swelling you have eliminated as much as possible and get your pain under control. Pain relievers and ice are two common ways to do so in addition to rest. Bracing can help as well to help with not only pain, but also the fear and apprehension that accompanies this condition. We often have patients use assistive devices too because it makes walking less painful and guarded. Many patients, either on their own or from the erroneous instruction of their physicians, are told to get rid of the crutches. Limping often ensues and further aggravates the knee. We highly recommend using an assistive device until gait is normal. Once pain is under control and range of motion is improving steadily, we’ll begin strengthening of the quadriceps as well as the gluteals. The gluteals are a vital part of knee function and ultimately control what happens at the knee because they control the femur. Think of the gluteals as the “train station,” the femur as the “track,” and the patella as the “train.” The track is controlled by the station. The sports physical therapists at SSOR are hands-on – we spend a considerable amount of time doing soft tissue work on our patients. After this injury, there are many tender muscles and soft tissues that need our attention. Many times, people are pre-disposed to patellar dislocations because of tight structures on the lateral aspect of the knee. 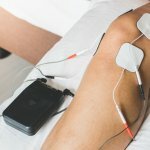 Therefore, we work on loosening up those structures as well as performing soft tissue techniques on the quadriceps to maximize pain relief and muscle function. Another area of emphasis is balance and neuromuscular training. After establishing balance on stable surfaces, we’ll move to more unstable surfaces to help you learn to develop control with different perturbations so your muscles learn to respond quickly to movement that is out of the norm. Depending on your desired activity level, we have a specific progression for return to running and impact activities. Once specific tests are passed to indicate physical readiness to begin these activities, we’ll work to get you back to the activities you enjoy. 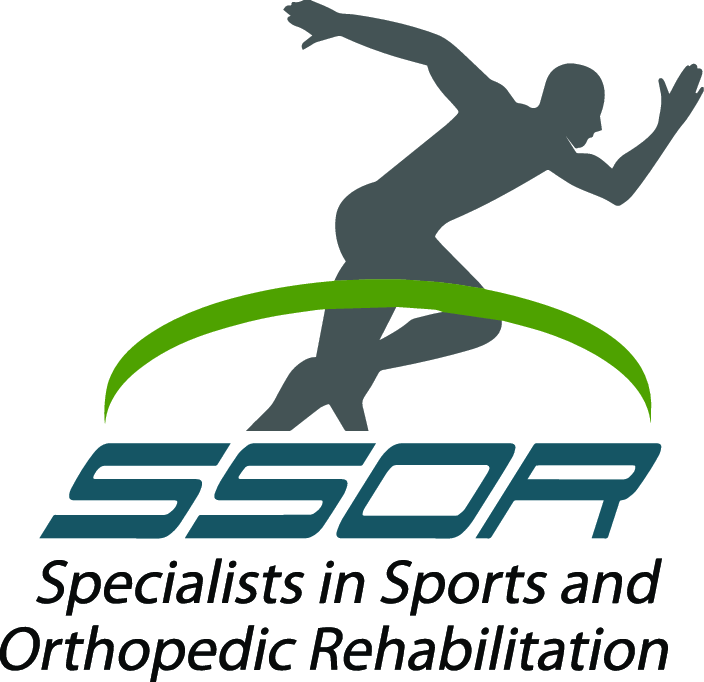 The staff at SSOR is your first choice for rehabilitation after patellar dislocations. Our physical therapists are experts in the evaluation and treatment of this injury. Our staff routinely sees this condition and we assure you that you will see results quickly. Give us a call at (913) 904-1128, it would be a privilege to serve you. Remember, you no longer need a physician referral to see a physical therapist in Kansas – don’t delay!